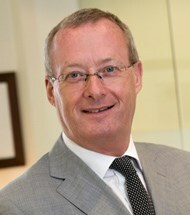 Ian joined GMT in May 2008 as a Senior Advisor. He is the former Executive Chairman and Chief Executive Officer of Invitel, the Hungarian fixed line telecoms provider acquired by GMT in May 2003 and sold to HTCC in April 2007. Ian has substantial experience in the telecoms and broadcast industry, having spent 32 years at British Telecom in a number of senior roles in the UK and Europe, and later as COO for the Asia-Pacific region. After leaving British Telecom in 2000, Ian was COO of Kingston Communications, a leading provider of communications solutions to business and public sector organisations in the UK and has served as a Board director for several international communications companies. He is a British citizen.